What is a New Hampshire Non-Compete Agreement? New Hampshire Non-Compete Agreement: What Is It? A non-compete agreement in New Hampshire is a document that gives companies a legal means of protecting their business interests. Companies do this by requiring that their employees sign a written promise that they will refrain from all competitive behavior once their employment with the company comes to an end. 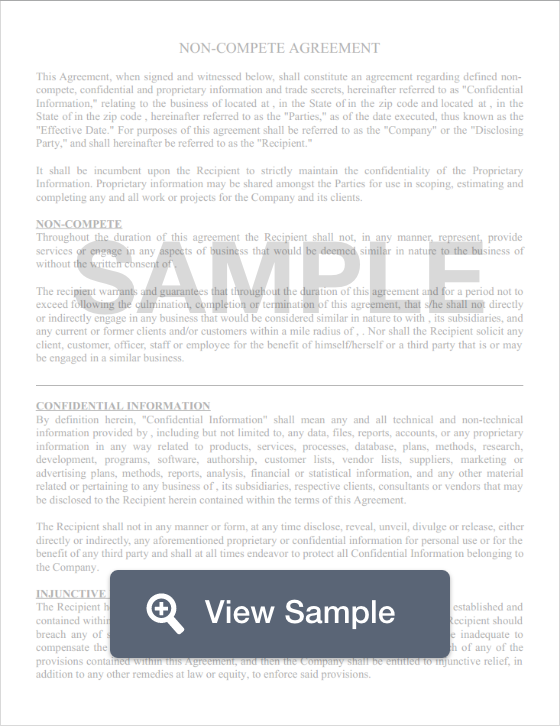 In these agreements, the employee will be prohibited from working for or with competitors for a certain period of time, and from working with competing companies within a certain radius. If the employee breaches the agreement, he or she may be liable for damages, fines and even jail time. Effective July of 2014, all non-compete agreements in the state of New Hampshire must be fair and reasonable. This means that no greater restriction is imposed on the employee than what is necessary to protect the companies business interest.